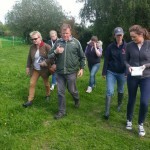 Course Walk at Tattersals Horse Trials, Ireland, with Nick Turner FBHS, Irish Team Trainer. 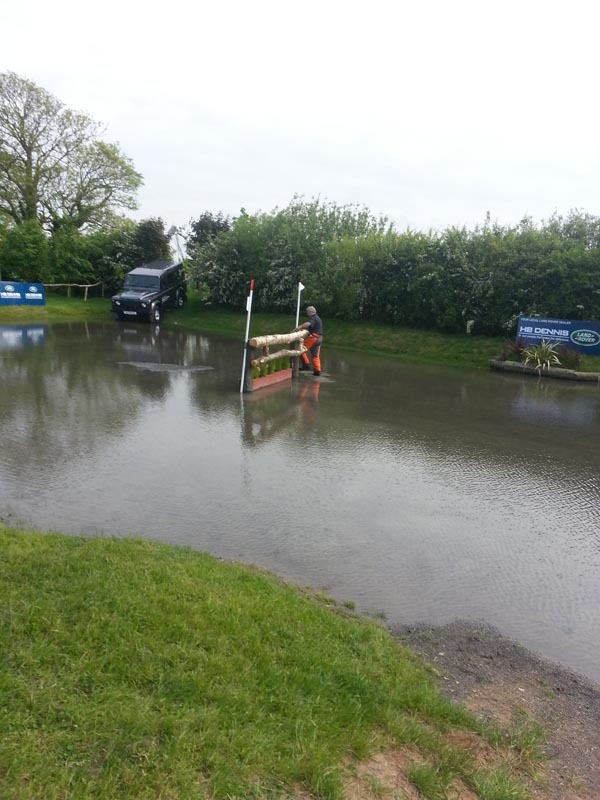 Tattersalls Horse Trials was a great success again this year. It is located in Ratoath, Co. Meath across from Fairyhouse Race Course. It is a benificial event for the Irish riders as it attracts competitors worldwide. This year’s WEG is a chance for Ireland to qualify for the Rio Olympics in 2016 so, ‘Tatts’ is an important event for the Irish riders as it enables them to see their progress and to see where their weaknesses lie. 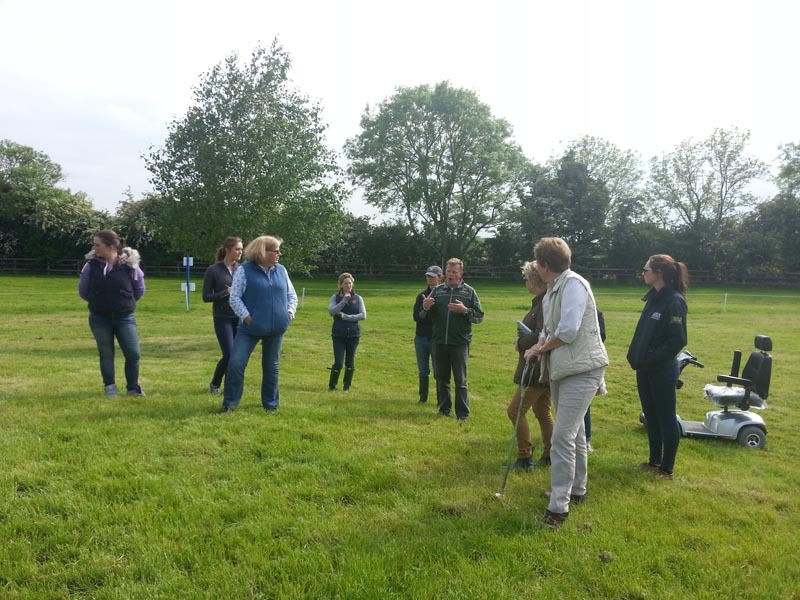 I was lucky enough to get the chance to go on the BHS F&I Association’s course walk on Friday 30th May with Nick Turner. He gave me a great understanding of a cross-country course. From his positive attitude and calm way you would think it was easy! I picked up a lot of information and enjoyed watching the beautiful horses earlier in the day doing the 3* dressage test. Fences one to seven were relatively straightforward (according to Nick) and this was to encourage the horses to relax into their stride and make sure they were paying attention. As show jumping is my sport I was interested to learn that the sunken roads and coffins needed to be ridden in a showjumping canter. Towards the end of the course the square oxers in the water on a bendy line for the 2* horses looked much more difficult than the two big Owl Holes for the 3* horses. 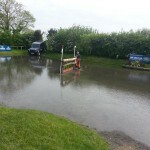 And that’s how they rode even William Fox Pitt had to ride the oxers carefully on his 2* horse! We had a small but enthusiastic group that included Grainne Sugars BHSI, on a motorised scooter that we all wanted to ride! Jane Kennedy, owner of Brennanstown RC and Jillie Rogers BHSI Chairman of the F&I Association, these ladies brought a good atmosphere to the occasion. 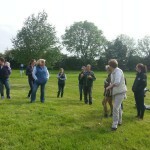 Walking with us was Jane’s daughter Louise Bloomer and this gave the group a very realistic feel for the course as she was riding in the CIC***. Whilst Louise walked and counted the strides in the three water complexes we watched and took notes. I hadn’t realised horses lose speed when they are jumping into water and this must be taken into consideration when you are walking from fence to fence. ‘Tatts’ is not on vast parkland like Badminton so the course builder had to put in loops to account for the distance and time. Nick felt the course was technical but shouldn’t cause too many problems. I enjoyed the opportunity to gain such an insight into a different sport from my own and am thinking 1m 20 is big but at least my horse can knock it down if I get it wrong!! Report by Falone Whelan pre BHS Stage 2 student.